Patio Enclosures Our spacious, private indoor/outdoor enclosures have soft bedding changed daily (or as needed) and provide ample room for exercise. 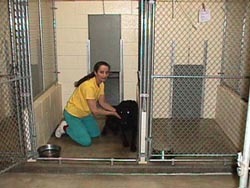 Delmyra enclosures are double gated to separate pets while the runs are being cleaned. Fresh water is available 24 hours a day and soothing music is softly playing in the background of the kennel to make your dog's stay seem like home.  A daily report is kept on each pet monitoring your dog's health, activity, attitude, food intake, medication administered, and waste. Our facility is climate controlled year round. 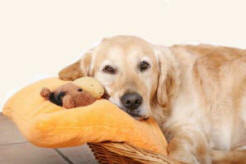 Health & Pet Diets While in our care, we monitor all of your pet's eating and bathroom habits. Premium food is included in the boarding fees. 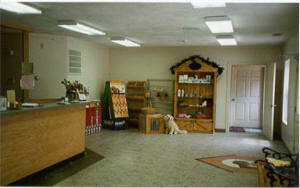 If any problems arise, we will consult with our veterinarian, your veterinarian and/or you, as needed. 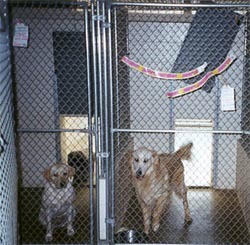 Finally one of the most important features of Delmyra is the fact that all owners are encouraged to take a guided tour of the facility, before or when they bring their pet in to vacation. 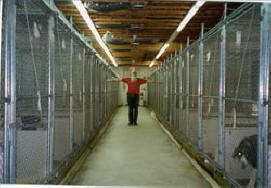 They can see where their pets are bathed and where they sleep and play. At Delmyra your pet will not mysteriously disappear behind a closed door - you can see for yourselves how your pet will vacation.